As we delve further into winter, our gardens will still not be requiring too much attention, but of course we still want to enjoy them all the same. There are many trees and shrubs that you can consider for winter interest, and with a little careful planning, your garden can be a haven of colour and interesting structure from our deciduous trees. Hamamelis x intermedia ‘Pallida’ is a large deciduous shrub with a spreading crown habit. Its broad, oval leaves turn a buttercup yellow in the autumn and winter. During the winter months, they will sometimes project a slight scent. 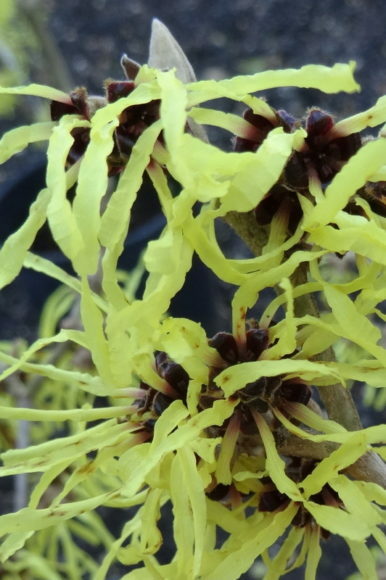 Hamamelis x intermedia ‘Pallida’ can be grown in full sun or partial shade, in either a sheltered or exposed position. They have an eventual height and spread of between 2-4m. Plant in a moist, well-drained soil. 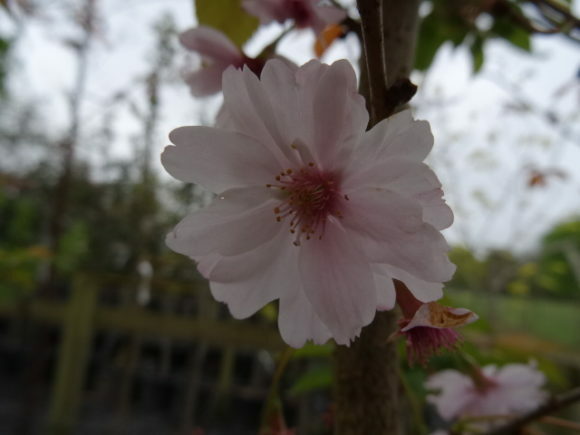 Prunus x subhirtella ‘Autumnalis’ is a, spreading deciduous tree. Its pale pink\white flowers are a delight during the autumn and winter months. This tree will grow happily in full sun in a sheltered or exposed position. 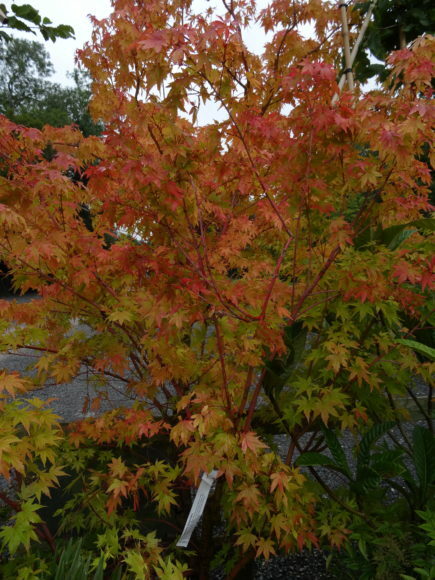 Its eventual height and spread is 4-8m, making it an ideal candidate for a small garden. Plant in a moist, well-drained soil. Ilex aquifolium ‘J.C. van Tol is a small evergreen shrub that can also be grown as a tree. It has glossy, dark green leaves that are virtually spineless. Small white flowers appear during the spring and summer. These are followed by striking red berries during the autumn and winter months. Ilex aquifolium ‘J.C. van Tol can be grown in full sun or partial shade in an exposed or sheltered position. It has an eventual height of 4-8m and a spread of approximately 2-4m. Ilex x altaclerensis ‘Golden King’ is a small, evergreen shrub which again can also be grown as a tree. It has broad, ovate dark green leaves, which are edged yellow. It can grow well in full sun, in a moist, well-drained soil. A colourful shrub all year round, with a few berries during the winter months. 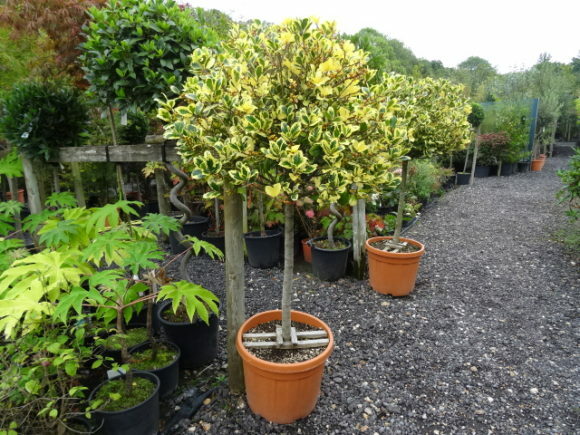 Ilex x altaclerensis ‘Golden King’ has an eventual height of 4-8m and a spread of 2-4m. 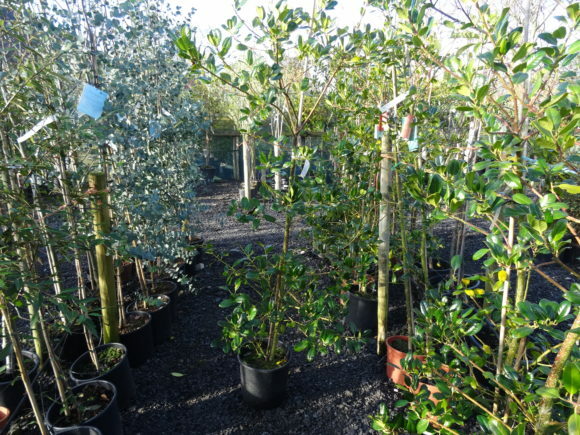 We also stock an excellent range of evergreen shrubs that have stunning winter colours and equally worthy of consideration. If you would like help and advice on the right plants for winter interest, why not pop along and have a chat? We are always available to advise you on the correct plants for your garden.